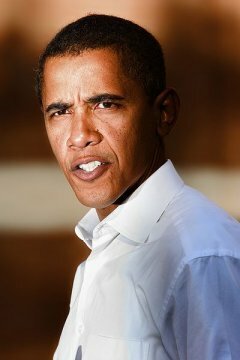 Earlier this month, President Barack Obama reversed a Bush executive order which limited federal funds for embryonic stem cell research to lines created before 9 August 2001 (see US Senate passes embryonic stem cell bill; President vetoes). Under Obama’s new executive order, federal funding will be available for new embryonic stem cell lines, created by the destruction of human embryos. Some in the media have hailed this as a step forward for science. Others try to garner support for the decision by enlisting the support of family members of individuals who suffer from illnesses like ALS (Lou Gehrig’s Syndrome) and diabetes, who hope that this form of stem-cell research might lead to cures of their conditions. But do the facts back up such hope? The recent case of an Israeli boy who was injected with embryonic stem cells by Russian doctors highlights the dangers of treatment with embryonic stem cells. Embryonic stem cells are pluripotent, which means they are able to change into more types of tissue than adult stem cells, but they are also less stable. In the case of the Israeli boy, the injections caused tumors in his spine and brain. Even U.S. News and World Report (by no means a conservative or Christian stronghold politically!) calls embryonic stem cell research ‘obsolete’. While the tumors caused by embryonic stem cells do not seem to be anomalous, adult stem cells, which are multipotent, do not cause these tumors; the worst that happens is that they might die off without producing the hoped-for cure, but they do not seem to have any ill effects. And unlike embryonic stem cells, adult stem cells have actually produced over 70 cures—see detailed documentation of some of them in Stem cells and Genesis. 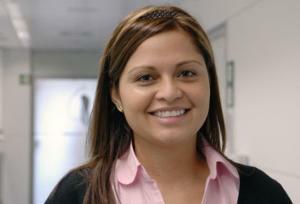 Claudia Castillo, 30-year-old mother of two in Barcelona, whose life was saved by new adult stem cell treatment. She was given a new windpipe made from her own stem cells, not embryonic ones. See also this video explaining the procedure. Embryonic stem cells are the only variety which pose a moral problem for the Christian, because producing them necessarily ends the life of a human embryo. Because CMI takes the biblical position that innocent1 human life should not intentionally be destroyed, this poses an insurmountable ethical problem. Therefore, while the arguments of the ineffectiveness and dangers of embryonic stem cells are useful, even if scientists found solutions to these problems, and even if embryonic stem cells turned out to be more effective than adult stem cells (an absolute reversal of what the case actually is), CMI would still oppose embryonic stem cell research, because the end of possibly saving human lives does not justify killing others, in the same way that Dr Mengele’s medical experimentation on Jews during the Holocaust were inexcusable, and would be even if it had produced numerous medical breakthroughs. Unlike embryonic stem cells, adult stem cells have actually produced over 70 cures. Many have argued that the extra embryos in fertility clinics, left over from fertility treatments, are headed for the trash anyway, so if they are going to be killed in any case, it is better to derive some benefit from them. But those are not the only possible destinations for the extra embryos. Agencies like Snowflakes Frozen Embryo Adoption Program arrange for these embryos to be adopted by infertile people who will have them implanted. Already, babies have been adopted in this way (see some of them on the Snowflakes web site), and their very existence is a reminder that every embryo is already a baby; not simply ‘potential’ life, but life in limbo. Former president George W. Bush said, “Each of these children was still adopted while still an embryo and has been blessed with a chance to grow, to grow up in a loving family. These boys and girls are not spare parts. They remind us of what is lost when embryos are destroyed in the name of research. They remind us that we all begin our lives as a small collection of cells. And they remind us that in our zeal for new treatments and cures, America must never abandon our fundamental morals." This demonstrates that the stem cell debate is far from a political, “right-wing issue”. Their organization’s article about stem cells raises the same problems with embryonic stem cell research showing that this is primarily an ethical, not a political, debate. One issue that complicates embryonic stem cell research is that of tissue rejection. If the stem cells are genetically different from the patient’s own cells, for instance, if they came from an embryo who was discarded from a fertility center, there is a high risk of complications linked to tissue rejection. One way to circumvent this is to clone the patient, thereby gaining embryonic stem cells that are genetically identical to the patient. However, this compounds the immorality of embryonic stem cells by intentionally creating a life to be destroyed. The ‘Freedom of Choice Act’ would mean that Christian hospitals would likely have to close, and Christian doctors would have to give up their practices for their pro-life views. Apparently, however, Obama is not opposed to restricting adult stem cell research, because the same executive order which gives funding to embryonic stem cell research takes away funding from adult stem cell research. This is a senseless move on the part of the president; the only stem cell research he is interested in funding is precisely the most dangerous kind, the only kind that a large segment of the population is opposed to on moral grounds, and the only one that has consistently failed to produce the promised ‘miracle cure’ results. If he were really concerned about life-saving medical advances, as opposed to pro-abortion ideology, he would hardly have undermined the research with proven benefits. However, just as private donors and even states could fund embryonic stem cell research prior to Obama’s reversal of the Bush executive order, private donors and state governments can fund adult stem cell research if they wish. And given adult stem cell treatment’s track record of providing cures for many diseases, it almost certainly will not die out because of the lack of federal funds. There is one protection for human embryos still in place: the Dickey Wicker Amendment, included in spending bills each year since 1996, explicitly states that “research in which a human embryo or embryos are destroyed, discarded, or knowingly subjected to risk of injury or death” cannot receive federal funding. Yet pro-abortion politicians are trying to get this last protection overturned. Unfortunately, this is not the only anti-life action of the Obama administration. In fact, Obama from the very beginning of his term has acted consistently according to his extreme anti-life record in Congress and the Illinois state senate, which led NARAL2 to give him a 100% rating 3 years in a row. This extends even to support for infanticide (see Blurring the line between abortion and infanticide?). Less than a week after his inauguration, he withdrew the ‘Mexico City Policy’ which withheld federal funds from organizations which provide abortions overseas. This means that American taxpayers are forced to fund overseas abortions whether or not they wish to do so. And less than three months into his presidency there are fears that he may pass the Freedom of Choice Act, which would not only overturn all restrictions states have put on abortion, such as partial-birth abortion bans, parental notification laws, and laws against transporting a minor across state lines for the purpose of an abortion, but would also force doctors and nurses who are pro-life to either violate their conscience and perform abortions, or quit practicing medicine. This would mean that Christian hospitals would likely have to close, and Christian doctors would have to give up their practices for their pro-life views. 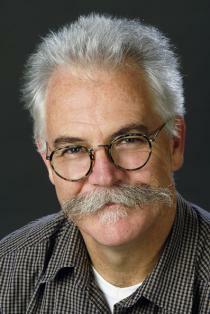 Professor Alan Mackay-Sim: awarded 2003 Queenslander of the Year for his promising research into adult stem cells from the nose. The arguments against embryonic stem cell research are very similar to those against abortion, the basis of which are found in texts throughout the Bible, starting in Genesis. While it is acceptable to do medical research using animals based on man’s God-given dominion over the rest of creation, man was not given the same authority over other human beings. This means that there is a distinction between what is permissible to do to an animal and what is permissible to do to a human being (recognizing, of course, that man’s dominion over animals is no excuse for cruelty). The reason human life is more valuable than animal life is also explained in Genesis: unlike animals, mankind is created in the image of God. This means that human life is intrinsically more valuable, and that an attack on life is in a sense an attack on the image of God. That is the basis for the death penalty that God imposed for murder in the covenant He made with Noah after the Flood (Genesis 9:6). Though it could hardly be a conscious move on the choice of the pro-abortion crowd, it is not surprising that many of the people who are most opposed to any sort of restriction of abortion, which has caused the largest mass-slaughter of human beings in history, or embryonic stem cell research, are also avowed atheists.3 Conversely, Norma McCorvey, better known as the Roe of Roe v. Wade, became pro-life after her conversion to Christianity in 1995. Embryonic stem cell research treats a class of human beings not as individuals whose lives have intrinsic value, but as commodities to be used or disposed of for the convenience of others. Embryonic stem cell research has shown almost no promise, unlike adult stem cells which do not destroy a human life. Moreover, the risks involved with embryonic stem cell research make it a very risky form of treatment. But even if these obstacles could be removed, this would not make the act of sacrificing vulnerable human beings for medical advances acceptable, because the basic argument against the use of stem cells is that such research inevitably leads to the destruction of a human life. In the sense of not having committed a crime deserving of death, not a denial of the sinful nature of the pre-born human being, from Latin in nocens = not harming. Return to text. NARAL was founded in 1968 by Bernard Nathanson, Larry Lader, and Betty Friedan, as an acronym for National Association for the Repeal of Abortion Laws. After the US Supreme Court invented a hitherto unknown “constitutional” right to abortion in the infamous Roe v Wade case (1973), the name was changed to the National Abortion Rights Action League, then the National Abortion and Reproductive Rights Action League. In 2003 they dropped acronymy completely in favour of NARAL Pro-Choice America. Return to text. For example, Humanist Manifesto II (1973) states: ‘The right to birth control, abortion, and divorce should be recognized.’ Its signatories include Alan Guttmacher of Planned Parenthood, Betty Friedan of the National Organisation of Women — both leading pro-abortion organizations — and Henry Morgentaler who was at the forefront of the Canadian push for abortions. Etienne Baulieu, the developer of the abortion pill RU-486, properly known as a human pesticide, is a signatory to Humanist Manifesto 2000. And in New Zealand, a major leader in liberalizing the abortion law was the abortionist Jim Woolnough, who was a member of the NZ Humanist Society. As already documented, Peter Singer uses atheism to attack a sanctity-of-life ethic — not only for unborn babies, but also for newborn babies and elderly people with Alzheimer’s disease. Return to text.